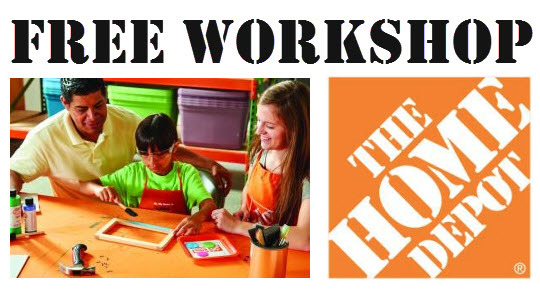 Join Home Depor hands-on Kids workshop. You and your child can build a wooden Penske truck to roll some fun into August. Once the project is complete, your child can personalize their truck with stickers and paint. All kids get to keep their craft, receive a FREE certificate of achievement, a Workshop Apron, and a commemorative pin while supplies last. Children must be present at the store to participate in the workshop and receive the kit, apron and pin.